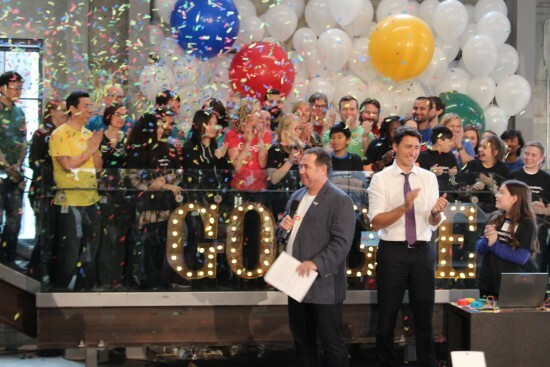 More than a decade after Google opened its first office in Kitchener, Ont. in 2005, it’s moving its Canadian development headquarters to a new location: a former rubber factory across the railway tracks known as the “Breithaupt Block” where 300 engineers will now be coming to work. Officially opened on Jan. 14 with a visit from Prime Minister Justin Trudeau, Google’s new 185,000 square-foot facility also continues the company’s proud tradition of eye-popping amenities. Take a tour with us in this slideshow. 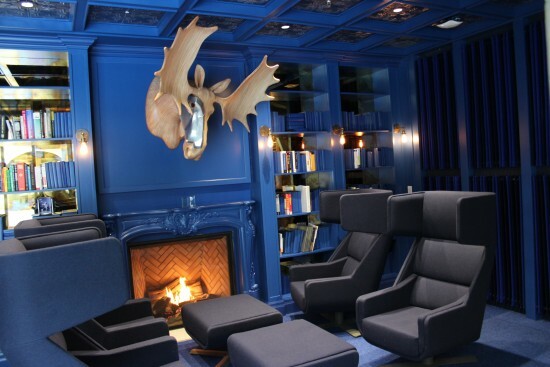 Overlooking a cozy spot to curl up and read a book in front of the fireplace, or perhaps chat with a couple of colleagues about your project, a cybernetic moose head lies prominently on the wall above the fireplace. While Google promises that no animals were harmed for the decor, it won’t say the same of robots. The red eye of the moose turns on when a secret doorway in the bookshelf opens. 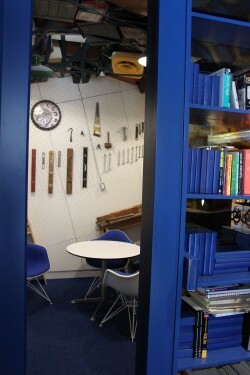 Yes, we said “secret doorway,” which reveals this space full of tools. There’s a more modern workspace for Googlers who are working on hardware prototypes, and while this might be suitable for some tasks related to those projects, it seems like it’s more suited to creativity and experimentation than anything else. Google has a company philosophy of “creativity through proximity,” and encourages its employees to collaborate often and bump into each other at random points throughout the day. 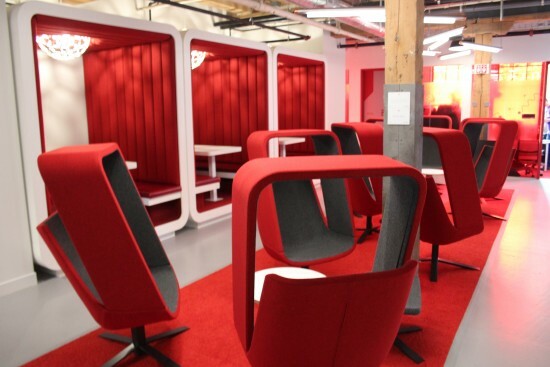 This space helps facilitate that with some seating booths and closely-grouped, pod-like, revolving arm chairs. Chef Tammy sources local ingredients to feed Googlers three square meals a day – that’s breakfast, lunch, and dinner – so there’s always a chance for employees to eat together. Items on the menu for today’s lunch included a meatball sandwich and salad. The attention to food doesn’t stop at the kitchen. 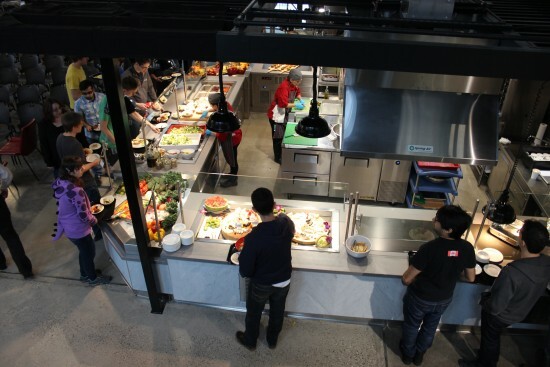 Another Google philosophy is that an employee should never be further than 150 feet away from food. So on each floor of the new office, you’ll find one of these kitchenettes with fully-stocked pantries and fridges. 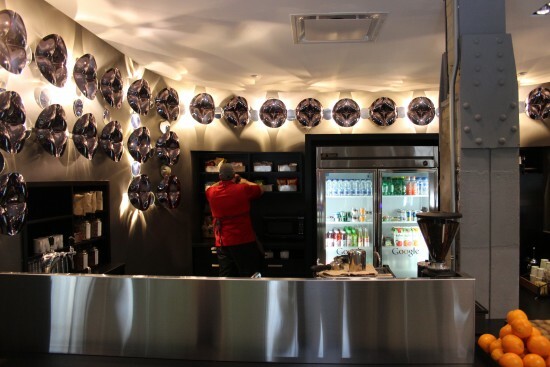 You’ll find all the snacks that you’d want here, and it’s supervised by staff to make sure nothing runs out. 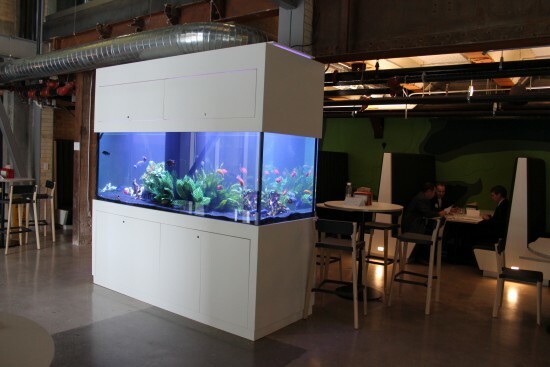 Of course, if you don’t find the micro-kitchens offer quite the caffeine fix that you were looking for, you can opt to come down to the barista bar and pull up a seat next to the aquarium. Sip on a latte or cappuccino while you gaze outside through the large windows on this ground floor space. A tradition at this Google office is to give each employee their own caricature. It’s hung on the wall and, after three years, gets coloured in. Make it to 10 years and a nice frame is added. 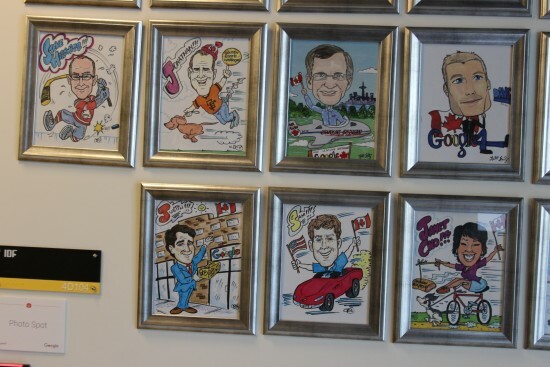 The office will also add a framed caricature for special guests like the Prime Minister. 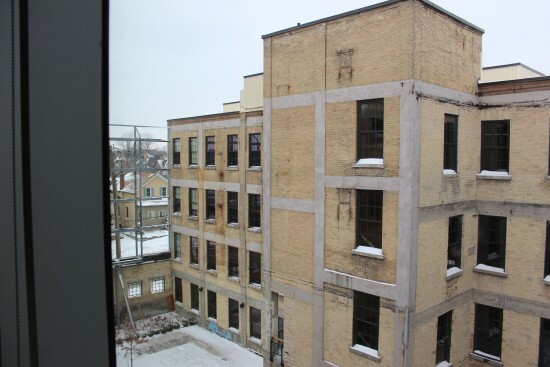 The Breithaupt Block is a century-old building that used to be a rubber factory. Google has completely renovated the space, and the building’s theme is science, technology, and mystery. The floor and room names are voted on by employees, and there’s an emphasis on Canadiana. Google has applied for LEED V4 gold certification for the office, which would be a first in the country. 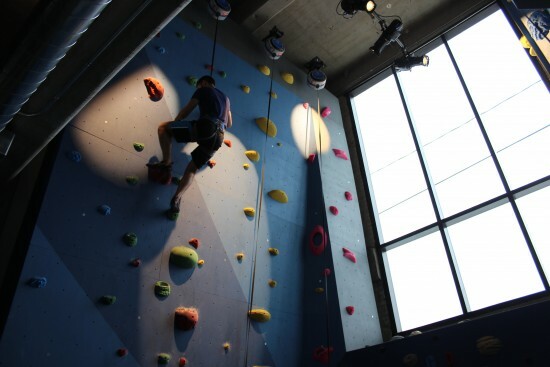 A gym in an office is unusual enough, but the one found in Google Canada’s office includes a multi-course climbing wall. Also, a fitness coach provides classes and support to employees using the space. 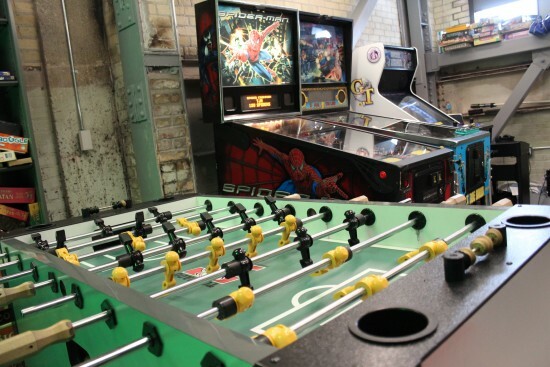 A games room provides the requisite foosball table, three different pinball machines, a board hockey game, and a wide selection of board games.